How do we create contexts for mathematizing? 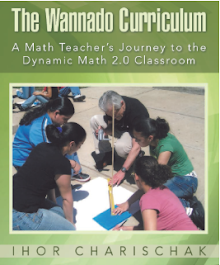 I think there's been a wealth of work in this area, from work based in Realistic Mathematics Education, work on word problems like that from Verschaffel, Greer, and de Corte, and, most recently, Dan Meyer's work. I could go on, as there are many more examples, and perhaps future work will give us a clearer picture about which contexts work best and why. For me the answer lies in effective curriculum that students actually want to do. 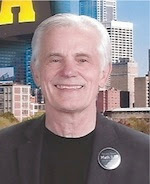 I take as a model children’s books that make math come alive for children. The Librarian who Measured the Earth by Kathryn Lasky comes to mind. This could be the nucleus of a chapter in the curriculum unit about how Eratosthenes in 220 BCE measured the circumference using only sticks, shadows and brains. Students can recreate this measurement by participating in the Noon Day project sponsored by CIESE/Stevens every March and September and can learn a lot of important math in the process. 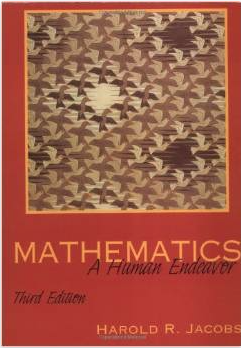 Harold Jacobs wrote a wonderful textbook back in 1970 called Mathematics: A Human Endeavor* which was described as a textbook for students who didn’t like the subject. The book went through 3 editions. Subsequently he wrote a high school level algebra and geometry book that were in same spirit. Curricular student engagement is the key. Unfortunately all the good stuff that’s out there is considered side dishes or dessert to the main course which is usually boring to the population of students who need more support and encouragement in doing math. Textbook companies who produce the main courses are not helping in this regard. We need a new paradigm of textbooks that children actually look forward to reading. Wouldn’t that be a refreshing change from the textbooks that continue to be as much fun for children as taking out the garbage? * (A 4-star review on Amazon:) I'm a 36-year old homeschooling mother who had done calculus in high school and college, and mechanically got some right answers, but never knew why. I hadn't bothered to slow down and notice the beauty and power of the language of mathematics. In his textbook, Mathematics: A Human Endeavor, Harold Jacobs smashed my lack of confidence into a million pieces. He showers the student with so much real-life relevance and humor, that even a slight amount of curiosity about the subject bears delicous fruit. Working through this book will convince any human being, of almost any age, that he or she is a born mathematician.